When selling our home and purchasing a new one we wanted to find an agent to help us achieve this as quickly as possible. We truly found a gem when we choose Heather. Heather was honest, straightforward, determined and extremely hard working. She was a wealth of knowledge in preparing our home for the market. She went above and beyond and had us in our new home faster than we could have hoped for. We highly recommend her to anyone we know who is looking for an agent and will be sure to use her if we move again in future. She started as our agent and is now a dear friend, thank you for everything! 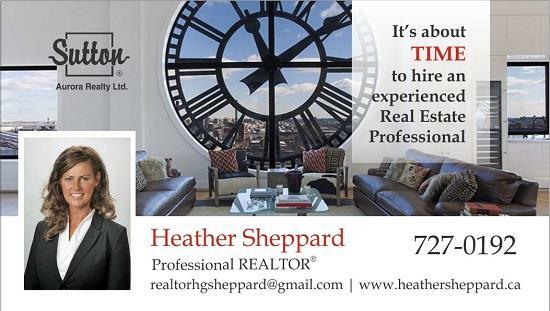 We have dealt with many real estate agents over the years and Heather is by far the best. Very knowledgeable, friendly, reliable and truthful. I would use her services again for sure. 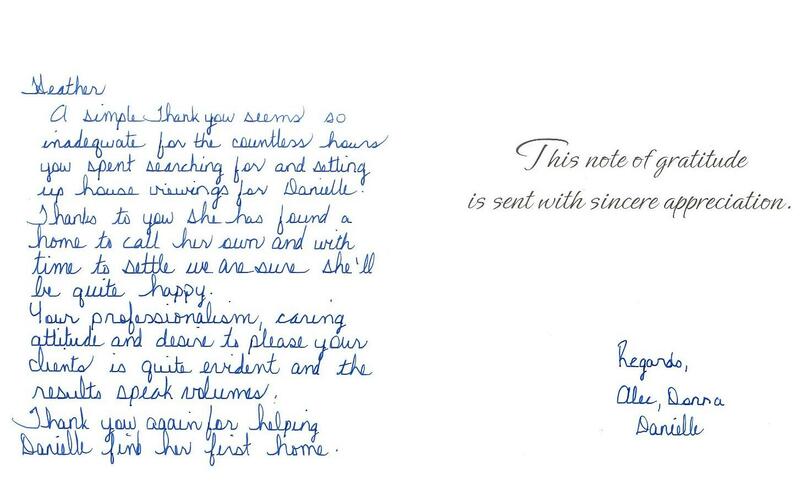 “I dealt with Heather when I needed my house sold, and she was the consummate professional. She immediately put my home on the market and had it sold within 2 weeks. Heather was full of energy and excitement and while she had a lot on her plate, she made me feel like I was the most important client on her agenda; I thoroughly enjoyed house hunting with her. Buying and selling a home is a stressful time for sure, and I felt she help alleviate a lot of the stress. Heather was very knowledgeable & well spoken, and most importantly so personable and is great at what she does and I would never hesitate to recommend her to anyone I know who is buying or selling!!! !